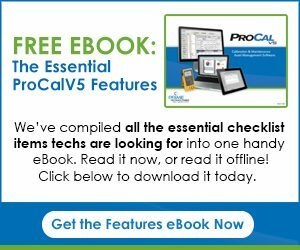 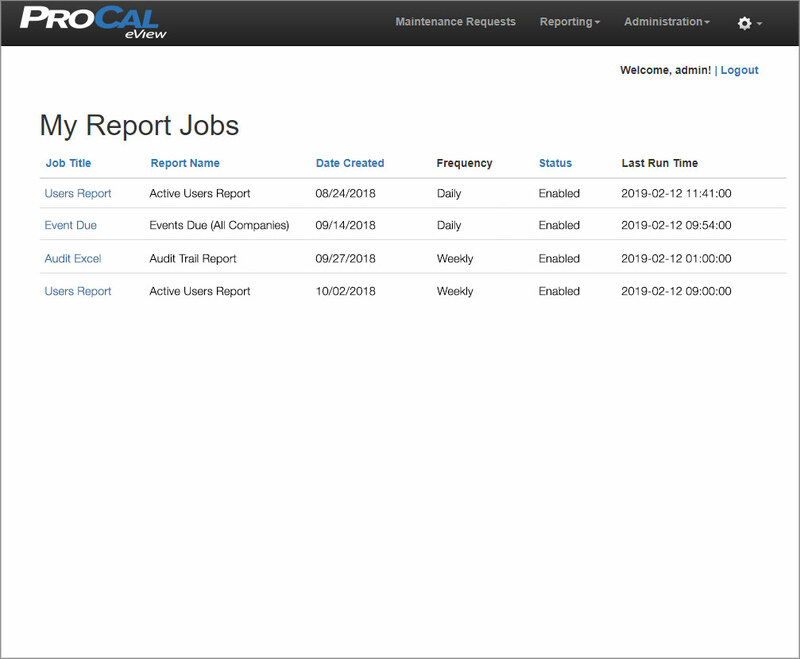 With ProCal eView, select system reports can be automatically emailed to designated recipients, and on a routine calendar basis! 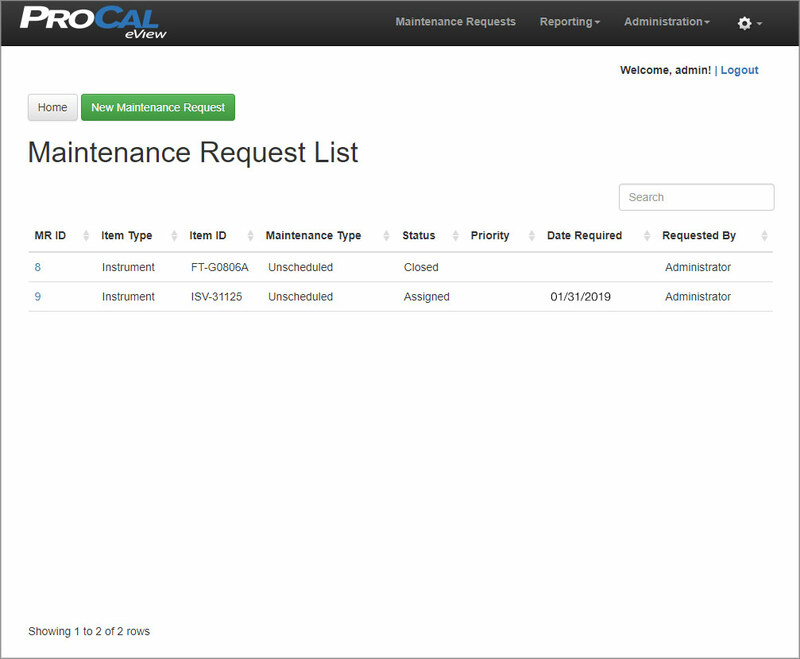 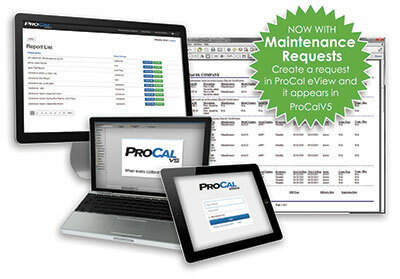 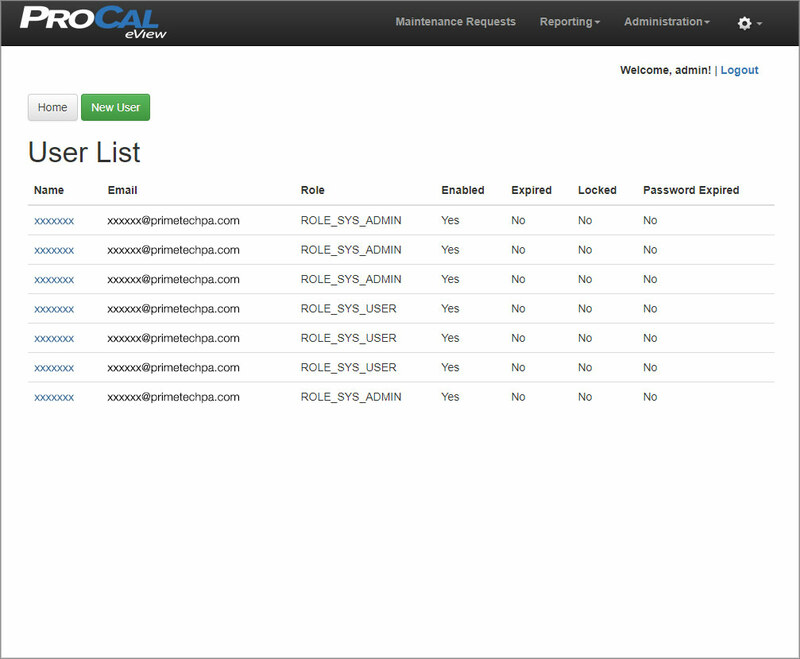 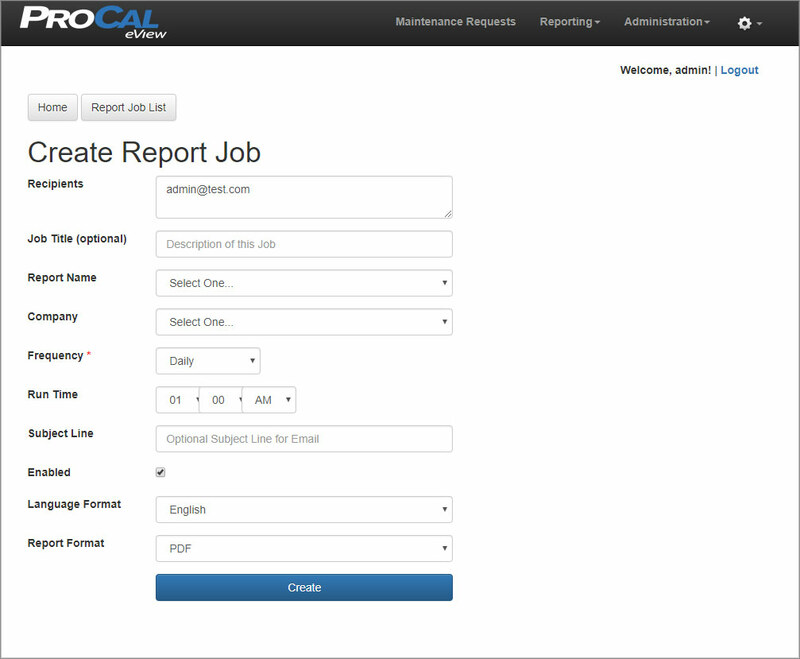 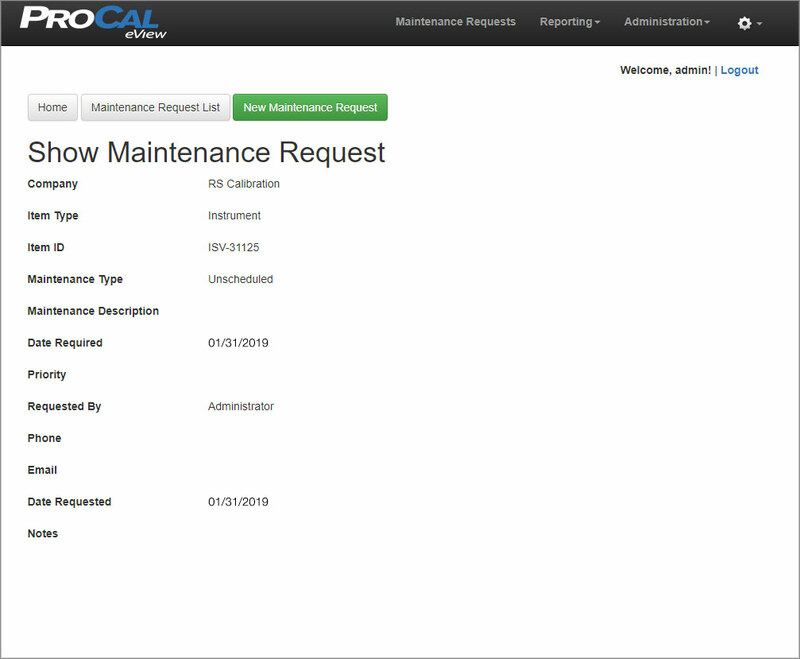 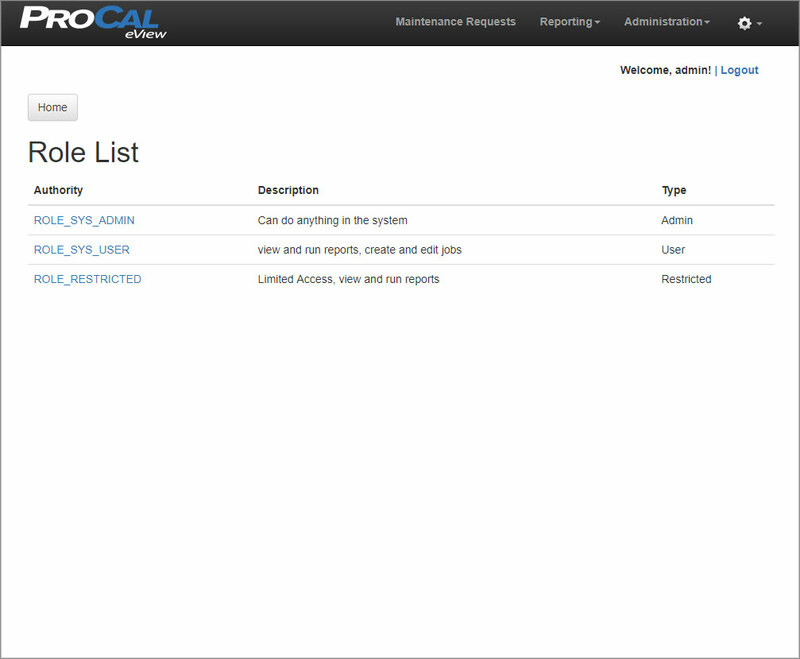 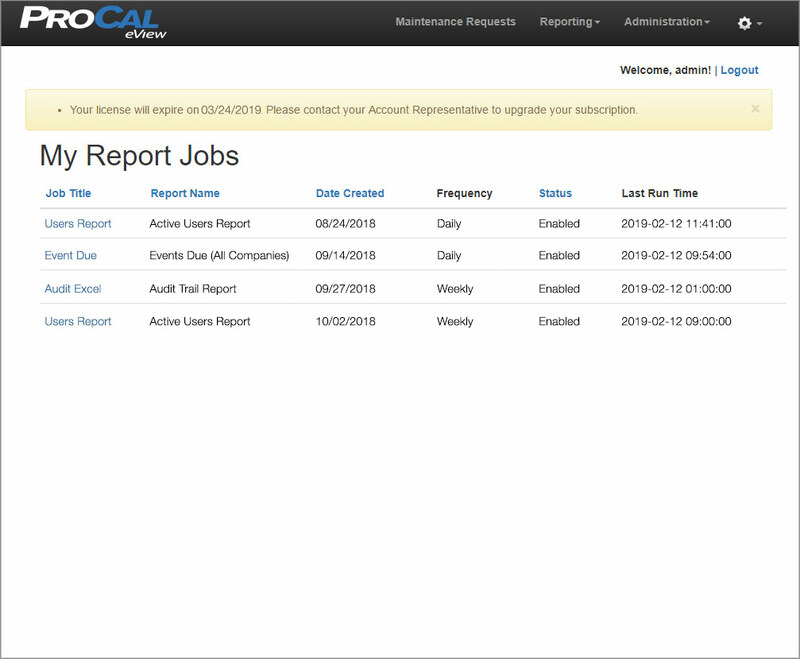 In addition, maintenance requests can be launched via ProCal eView from anyone with a web connection and by using almost any type of hand-held mobile device. 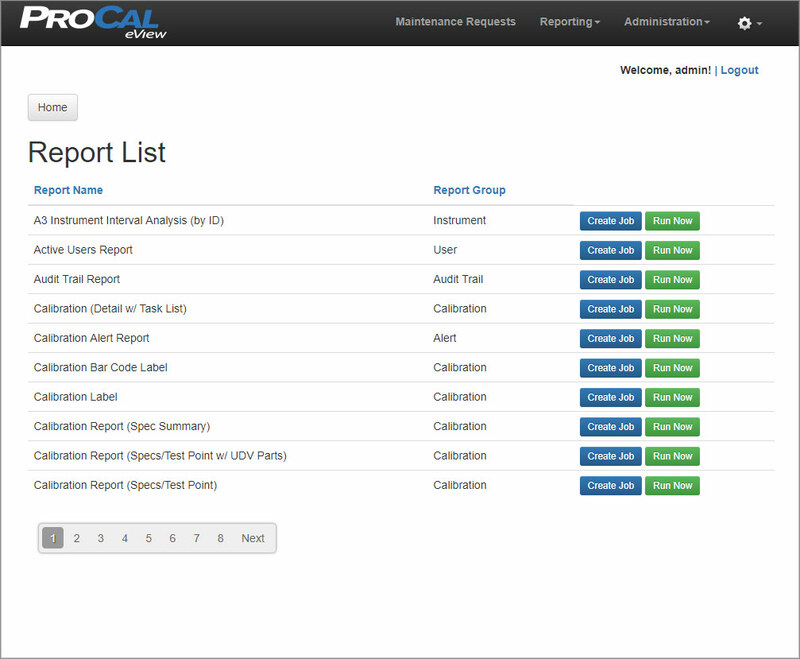 Powerful administration tools provide a wide range of configurable options for users and report viewing outlined below. 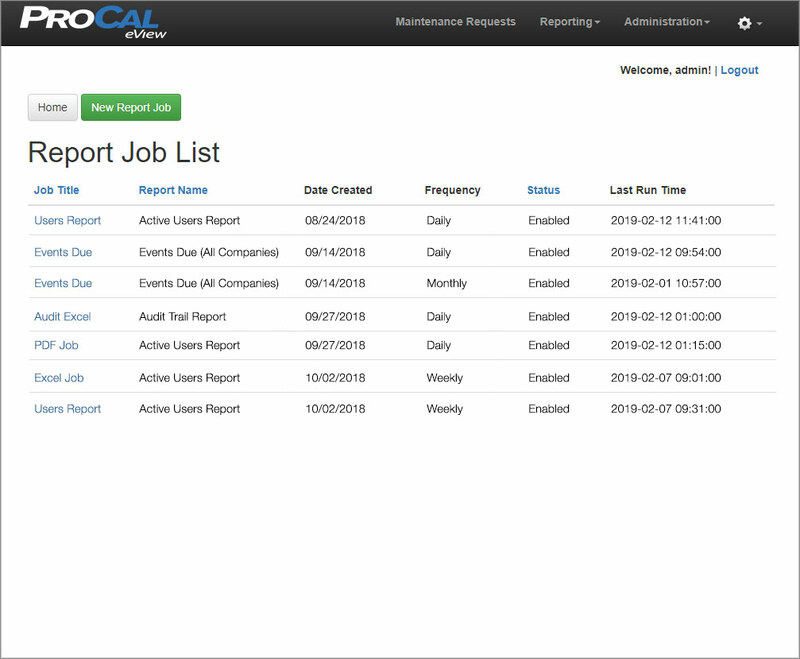 Multi-language – Supports six different languages. 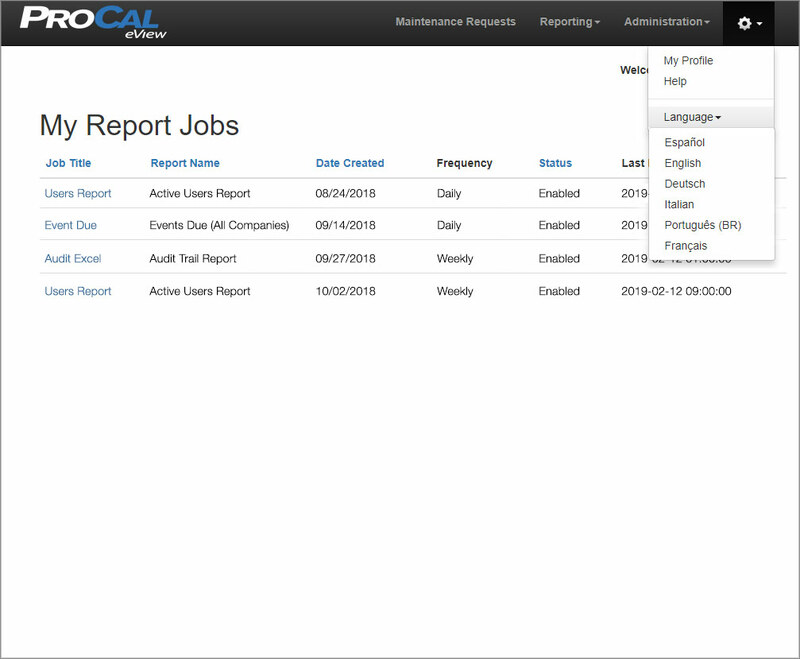 Changing to another language is via a drop-down selection. 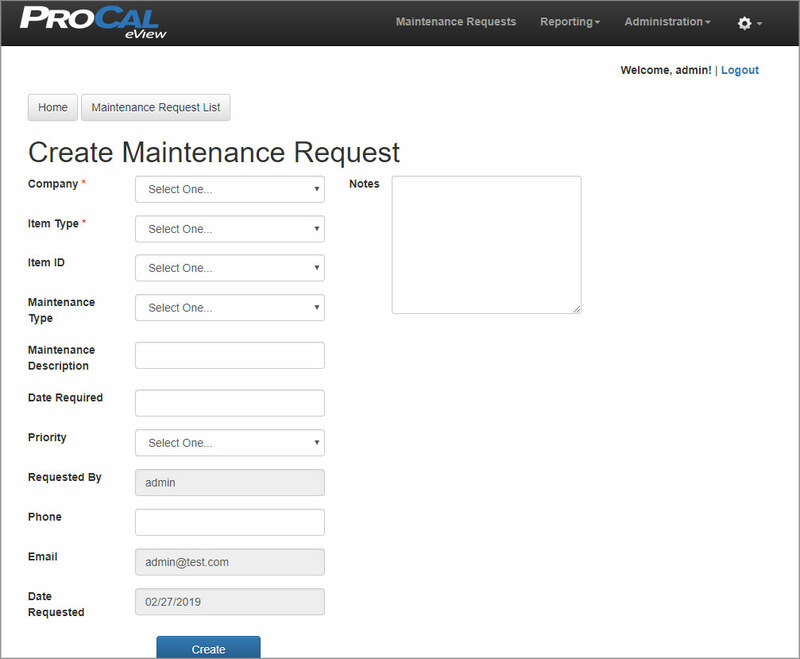 User administration is simple and straight forward. 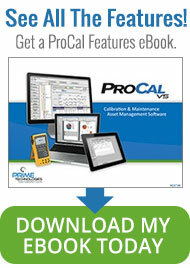 To view the ProCal eView system requirements, click here. 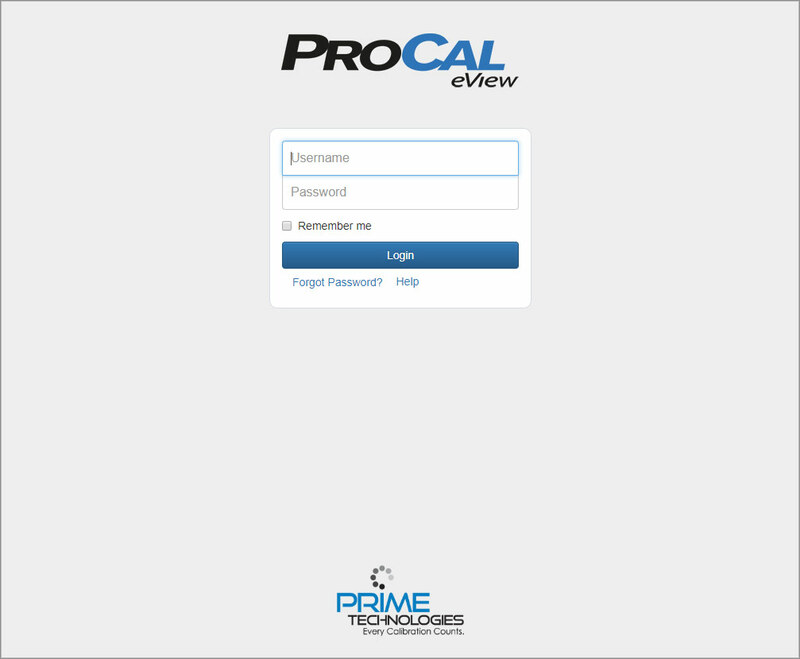 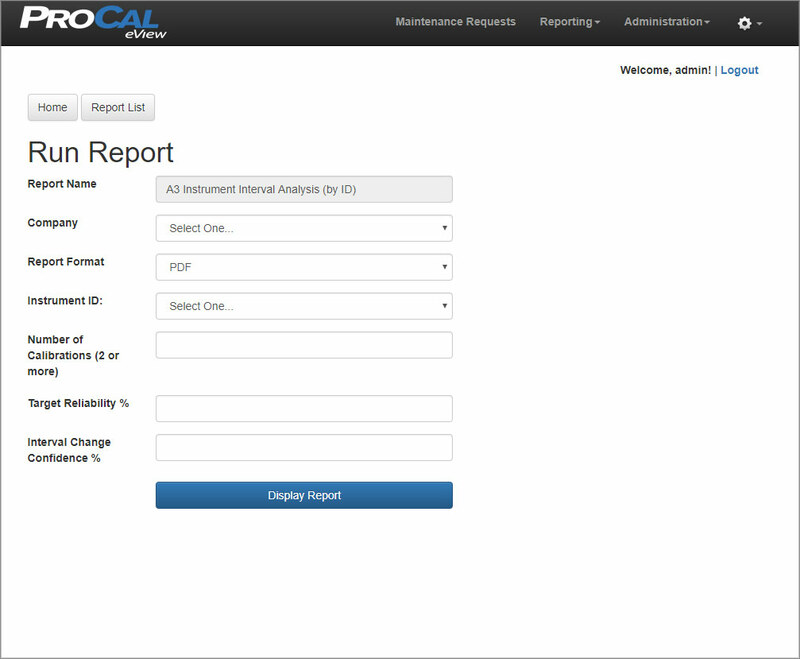 To view screens shots of ProCal eView, continue to scroll down.